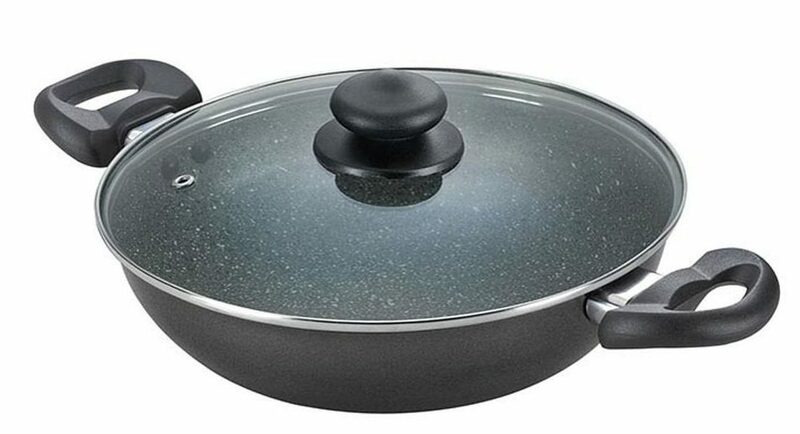 Best Granite Cookware in India | Pros & Cons | Is it Safe to Use? 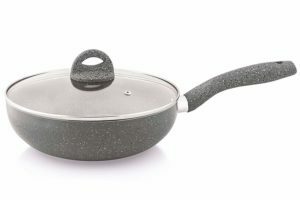 There is a lot of confusion in the mind of the consumer while buying Granite Cookware in India. Is Granite Cookware safe for your health? 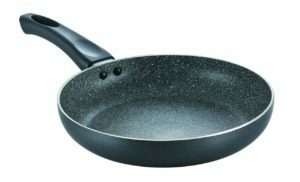 What is the difference between Granite and a non-stick frying pan? 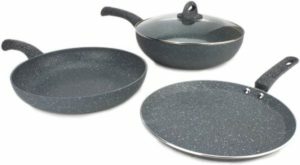 Is Ceramic pan better compared to Granite? I have hence written this article to answer these questions. I have also added a list of Best Granite Cookware in India for those who wish to buy these utensils online. The link above shows a set of four utensils. A useful set and I suggest for it. However, if you wish to buy only one or two of them, you can also find them listed separately on the site. I will now start off by answering the important questions first. Is Granite Cookware Safe or Healthy? 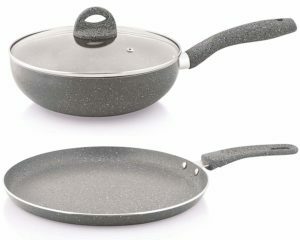 Granite cookwares uses the same material to make the outer layer of the cookware as any regular non-stick utensil. This material is called as PTFE, short for Polytetrafluoroethylene. The more well-known name for this material is Teflon. It is a well-known fact that above 260 °C, Teflon starts to emit toxic fumes, which is not good for you for your family. 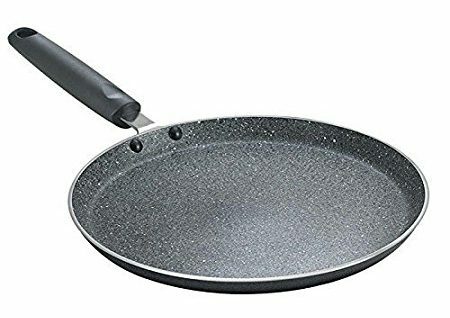 Teflon is great is you can maintain the temperate and follow the care instructions provided by the cookware manufacturer. If you wish to read more about Teflon, you can visit this page on Wikipedia. 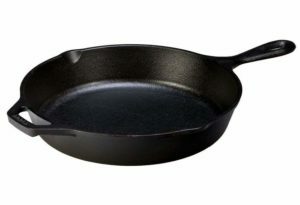 So to summarize, there is no point comparing granite to non-stick cookware. They both use the same material in them, just the look of the two product is slightly different. Prestige is a leading brand in India for Kitchen Utensils & Cookware. Hence, it should not come as a surprise that the first product on my list is from this particular brand. The Prestige Omega is a premium series of cookware from them. This product line from them boasts of having 5 layers of non-stick material on them for greater durability. Wonderchef has launched some really good products lately. I really love the quality and the finish of their products. They look very premium. This particular cookware set that I have selected contains 3 different essential cooking utensils. The package contains one Kadhai, Frying pan and Tawa, each with a diameter of 26 cms. At the time of writing this review, the product has a lot of amazing reviews on Flipkart. Do use the link above to check them out. If you are looking for a cost-effective option then you can opt for the Nirlon Ceramic Cookware set. The package contains a Tawa with 28 cms in diameter and 3 litres deep Kadhai with glass lid. The product is lightweight since it is made using Aluminium and coated with high-quality Teflon coating. A lot of people now want to avoid using Teflon coated cookware in India. 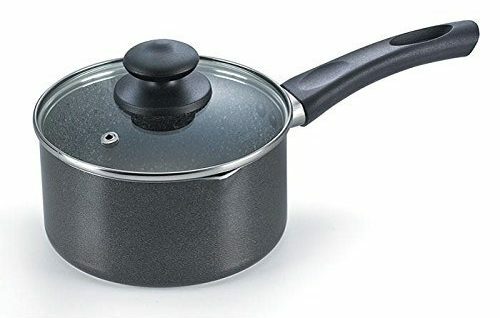 Hence, I added some alternatives for those who did not know that cookwares branded as “Granite” in India are actually made using PTFE or Teflon. People who are very health conscious and don’t mind taking some extra effort to maintain their cooking utensils can opt for cast iron utensils. Cast Iron cookware is heavy, difficult to clean and maintain initially. So be prepared to watch some video, spend some time with your new kitchen mates. 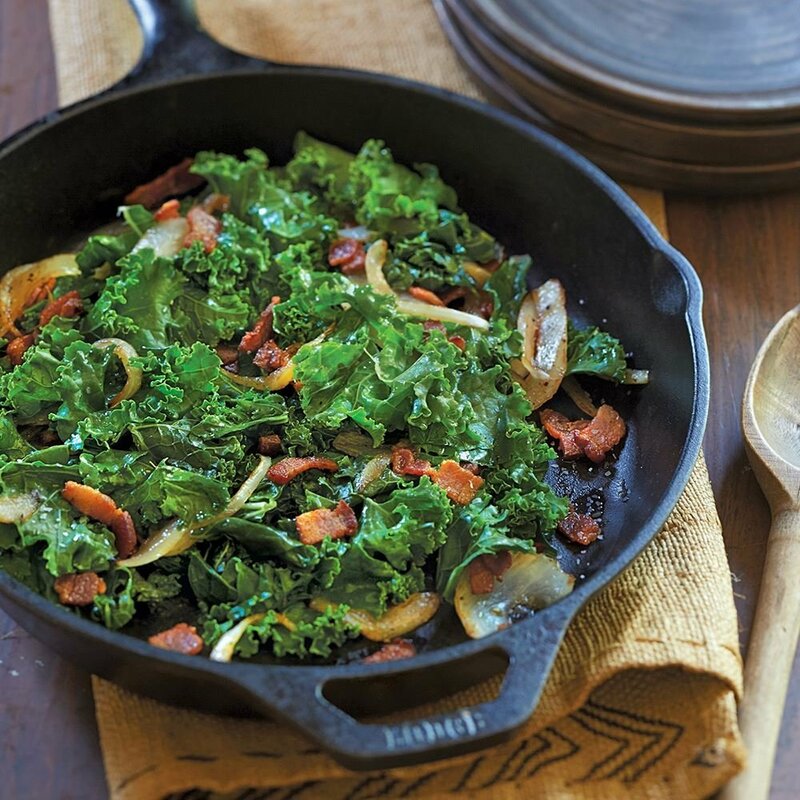 Cast Iron Skillets can be used on your regular kitchen hobs, OTG Ovens as well as on Induction cooktops. Lodge is a premium and a well know brand in the world of Cast Iron Cookware. They are known for high quality, durable products that will last you for lifelong if you take good care of them. You might find the price a bit on the expensive side. Especially, if you compare them with some cheap non-stick products. However, these products are surely worth their price. This product comes pre-seasoned, so you do not have to worry about undergoing the initial process. You can read the guide that comes with the product for more details about how to use and maintain the same. If you don’t want to invest so much in a cast iron skillet, you can opt for the Alpha Cast Iron Skillet. Now, for those people who do not wish to spend so much time maintaining their frying pan. You can simply opt for the Ceramic Cookwares. You need to take care of the coating so that it does not come off (Similiar to a non-stick pan). These pans are not as robust as the cast iron products and will need replacement every few years once the coating goes off. This product has 5 layers of ceramic coating. The lid is made using high-quality tempered glass. This kadhai has a capacity of 4 litres. This brings me to an end of my article of best granite cookware in India and its substitutes. I also tried to answer if granite coating on utensils is good for health. I hope this helped you select the right cookware for your kitchen. Do let me know your feedback in the comments below.